Georgia joined the team at the Ocivan Way branch of Chandlers just over a year ago. 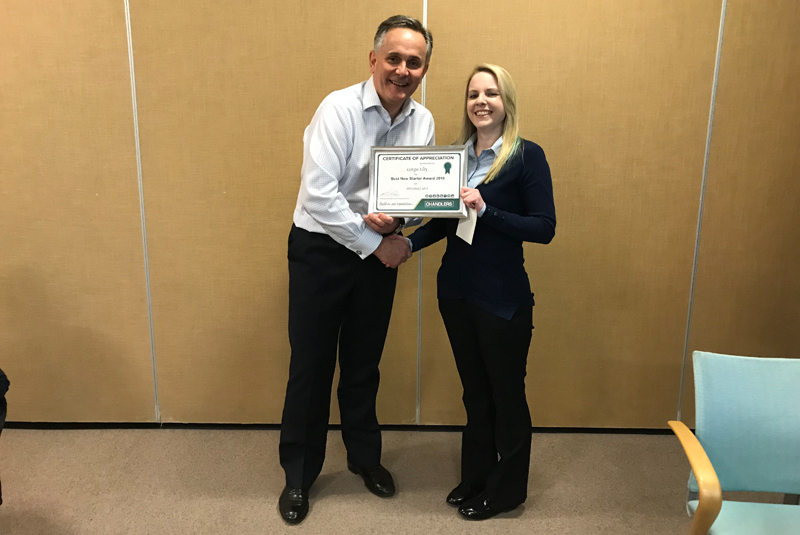 She was nominated for her exceptional ‘can do attitude’ that is said to delight customers and has quickly made her a valued member of the team. Nick was nominated for his exceptional commitment to the company throughout his 12 years in the business, as well as his positive approach to taking on extra work when needed. Introduced in 2014, the awards have reportedly developed into a highlight for staff and managers, with growing anticipation for the winners reveal. Next year, an award for Driver of the Year will also be introduced. Chandlers Building Supplies is a family owned builders’ merchant with branches throughout London, the South East and the West Midlands. It celebrated its 25th anniversary last year and is backed by a reputation that spans 140 years since its original inception in Sussex.